Although pressure cookers have been used in kitchens for years, some people are fearful of using them. This may be due to a childhood memory of a pressure cooker screeching and then exploding in the home, ruining dinner and potentially harming the person who was using one. Because of the dangers associated with the first pressure canners, most children were forbidden from entering the kitchen when their parent was using a pressure cooker. Modern pressure cookers like the ones from the Fagor series are much safer than those dangerous pressure cookers from the past. Today’s pressure cookers do not make that ear curdling sound and have numerous safety features to prevent dangerous excess pressure from building up. The handles of the pressure cooker will not unlock until the pressure has been discharged. These new pressure cookers are not noisy, do not rattle and do not spit steam like those in the past. The latest all-purpose pressure cooking cookware is both a pressure cooker and pressure canner. These models are lightweight and make for easy everyday meal prep while remaining sturdy enough to can small batches of food. The FagorFuturo is a dual use pressure cooking/canning cookwares that can accommodate all of your needs. It creates 15 psi of pressure, which is perfect for making meals as well as canning most foods. Pressure canners like the All-American Series are heavy duty. These pressure canners are designed specifically for canning foods in canning jars and are a heavy duty piece of cookware. Pressure canners offer the same benefits of a pressure cooker; however, they are larger, which allows you to preserve more jars of fruits, vegetables and meats at one time. Pressure canners are not typically used to prepare meals because they are heavier, larger and take longer to heat up than pressure cookers. A pressure cooker offers numerous advantages. Let’s take a look at the top six benefits that pressure cooking offers. Pressure cooked foods taste better and retain more nutrients than stovetop cooking. Stove top cooking takes longer than pressure cooking. When foods are cooked for longer periods of times, the nutrients in your foods are destroyed. When you cook with a pressure cooker, you use less liquid and your food is ready faster. Excess liquids in cooking will boil away and evaporate most of the nutrients in your foods. Additionally, excess boiling will cause your foods to lose most of their flavor, colors, vitamins and minerals. Large amounts of liquids dilute these all important nutrients, leaving you with a bland tasting meal that is unhealthy. Pressure cookers can reduce your cooking time by 70 percent. This helps to keep your foods tasting amazing while maintaining the maximum nutritional value of your foods. If you are ready to taste what healthy food tastes like, look no further than a quality pressure canner. You will immediately taste and see the difference. Pressure cookers save you money on your utility bills. Pressure cookers are energy efficient cookware that allows you to prepare multiple items in one pot, preventing the need for separate burners. Pressure cookers are perfect for one pot recipes. Additionally, because pressure cookers reduce cooking time by as much as 70 percent, less energy is needed to prepare a meal.When less energy is used, your utility bills can diminish. Save time on your meals using a pressure cooker. A pressure cooker can reduce your cooking times by as much as 70 percent, which makes it the perfect tool for busy families who need to get a meal on the table quickly. Have you ever had a hard day’s work and felt too tired to cook? The pressure cooker will allow you to quickly prepare a nutritious and delicious one pot meal in a matter of minutes. All you need to do is toss the ingredients in the pressure cooker and turn it on. By the time you tidy up the kitchen and set the table, your dinner will be ready. Your kitchen will stay cool in the summer. When the weather begins to warm up, you want a way to cook a delicious meal without heating up your kitchen. Pressure cooking is the perfect option. With traditional cooking methods, the heat from the stove top heats your pots and pans up and disperses into the air. Your kitchen fan will remove some of this heat and steam; however, a large portion will remain in your home. With a pressure cooker, the heat and steam are held in the pressure cooker, which results in a cooler kitchen. A pressure cooker means faster cleanup times. Stovetop cooking can result on splatters on the stovetop, counters, walls and the control panel of your stove. Steam and oil can escape your regular cookware, requiring more cleanup after you prepare a meal. A pressure cooker has a locking lid that prevents splatters and splashes, thus reducing the amount of cleanup needed after you prepare a meal. A pressure cooker also prevents boil overs and there is only one pot to wash after your meal has been prepared. Pressure cookers are dual purpose cookware. Pressure cookers can also be used to can and preserve foods for future use. Larger models of pressure cookers are often referred to as pressure canners. 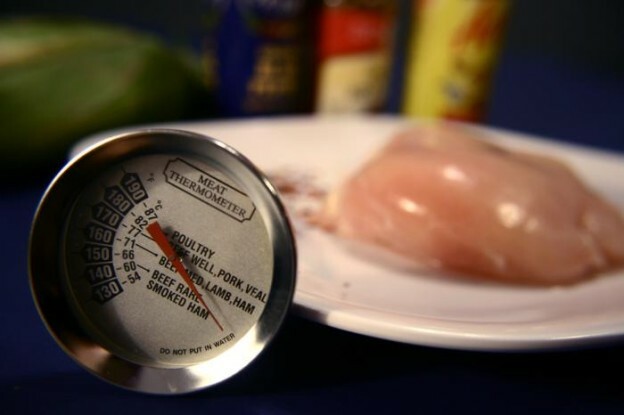 Pressure canners typically produce 15 psi, which the amount of pressure needed to properly preserve meats and fish. Pressure cookers can be used to can foods; however, they can only hold a few jars, rather than the larger models that can hold many jars. As you can see, pressure cookers truly are dual purpose cooking appliances. If you are ready to try out the new, safer pressure cookers and canners, look no further than the FagorFutor or the heavy-duty All American Series. These pressure cookers and canners are safer and easier to use than the older models of pressure cookware.